It seems that every food allergy organization, website, Facebook page, and blog are talking about back-to-school with food allergies right now and how our children can survive the classroom for 7 hours a day without us. This is one of the most stressful times of the year for food-allergic parents. Do my child’s teacher and the school administration understand the severity of my child’s allergies? Did they really listen to me? Will the nurse or staff know when to use the Epi-Pen instead of dismissing symptoms or simply relying on Benadryl? Do I need a 504 plan? Will my child be picked on for his allergies? And what about classroom snacks? And lunchtime?!!! Maybe I should just home school. Fortunately, more and more schools are understanding the severity of food allergies – heck, how can that not be the case with 7-8% of young children having one or more? – though this is unfortunately not yet universal. In fact, there are still just too many instances of pushback from school staff and from parents of non-food allergic children. This pushback from other parents seems to be particularly fierce when the issue of a school going nut-free is introduced. It usually culminates with a raging battle between one child’s “right” to eat peanut butter and the other’s “right” to live! But even amongst our own community, nut-free schools are a controversial issue. Is going nut-free the appropriate way to protect children with nut allergies? Is it hurting their preparation for the “real world?” Is it discounting the significance of other allergies that other children have? Will it make a school more lax about the need for other protective measures? Is there a “right age” for being nut-free? And if so, what is it? The list of reasons that I’ve heard for and against nut-free schools from our community goes on and on. Clearly, there’s no consensus. Nor will there be a consensus any time soon. So what should we do NOW? We can’t resolve all our differences, but aren’t there solutions we can take now? Should a school go nut-free? Should it have a nut-free lunch table? Should there be no restrictions at all? The C.S. Mott Children’s Hospital at the University of Michigan asked this very question of parents of both nut allergic children and non-nut allergic children. Their national poll findings were presented in March of this year in a report titled, “Nut-free Lunch? Parents Speak Out.” You might find them very surprising. I did. So what surprised me the most? 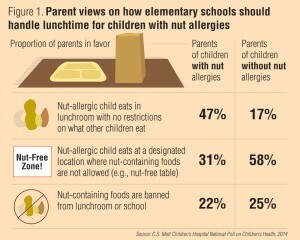 I was shocked to see that 47% of parents of nut-allergic children want no restrictions on what other children can eat. I was shocked to see that almost a similar percentage (actually a greater number) of parents without nut-allergic children were in favor of nut-free schools as parents with nut-allergic children. I was shocked to see that only 17% of parents without nut-allergic children wanted no special accommodations for the nut-allergic children. 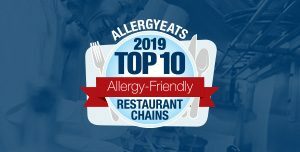 I won’t begin to speculate on why each group feels the way they do except to say that it appears the non-food allergy community may be more understanding and compassionate than some might think. Whether we agree or disagree with the approach favored by the “no nut allergy” group, it appears (in the words of the study authors) that “among parents of non-allergic children, there is the greatest level of support for an approach that they perceive would protect a child with a nut allergy. Maybe we’re so used to focusing on those specific parents that make a big, loud show about how their kids should have whatever they want that we miss the silent majority who recognize that we’re all parents who should help each other keep our children safe! Beyond the infographic, there were 3 other statistics the study shared in which the level of support was no different between the two sets of parents. Again, there was no significant difference in these percentages between parents of nut-allergic children and all other parents. (Nor have any of these statistics demonstrated a significant difference for public v. private v. charter schools). My takeaway? We’re in a quagmire! Our schools and governments don’t know what to do and neither do we! So how do we provide them guidance? You tell me! What do we do? How do you talk to your school? How do you help them make the right choice? What is the right choice and why? We NEED to hear your thoughts on anything and everything presented here, so please share your opinions in the Reply box below. Once again, thank you to the C.S. Mott Children’s Hospital at the University of Michigan for this great research! This year my second grader’s teacher announced that there would be no food treats allowed for birthdays due to allergies in the room. I wanted to hug her! At the same time, I was puzzled. My second grader does not have allergies, but my sixth grader does. She is contact allergic to nuts, and has multiple other allergies. I felt like I had to push hard to ask for no nuts to be allowed in the room. I never dreamed of asking for no food altogether, as I didn’t want the backlash. It was hard enough to get a nut free room. How odd that the same school easily offered this to another child, when my child had to fight to keep her environment safe. It dawned on me that the other parent pushed harder than I did, and I think it’s sad that as allergy parents at my school, we only get what we push for. There are no standard offerings. My stress level would have been so much lower had my older child had a food free classroom! I would love to see parents and schools work together as a community to devise accommodations rather than each of us working in a vacuum. I understand the need to customize restrictions to the individual child, as each child has a different allergy set and expression. I’m in favor of the least restrictive environment for all of the children. It would be fantastic to have these discussions together, so we don’t all feel like we are designing our own wheel, separated from the wisdom and experience of the community. My daughter has additional allergies beyond both tree nut and peanut. We treat all her allergies the same. Since banning peanut and tree nuts only keeps my daughter partially safe, I have not insisted on a nut free school or classroom. I feel the negativity that seems to come from others when such bans are placed is not worth the slight increase in safety. That being said, my daughter does not appear to be highly sensitive and we have never had a reaction to cross contamination, only actual ingestion. I fully support other food allergy parents who would want this nut ban due to their child’s reaction. Our elementary school is nut free and I appreciate that but it does allow for a false sense of security and we still need be diligent to keep him safe. Middle school and high school are not nut free so we have to teach him before he goes there how to keep himself safe. can’t keep our kids in a bubble and we need to arm them with the tools to keep them safe. The parents and staff at my sons’ elementary school have been fantastic and I am eternally grateful for that. I know there are horror stories out there, but there are even more stories of great school systems and parents doing all that they can to keep allergy kids safe. I think the results of this study indicate that more and more non-allergic parents understand the seriousness of the problem and are willing to do what it takes to keep allergy kids safe. I find the results very encouraging! I’d like to say that I want the schools to have a nut.free table, but what about other food alldrgies? There’s no way the school can have a separate table/area for each allergy. And since different food allergies effect students in different ways….this is not an easy.peasy solution…. I’d say, if depending on your childs food allergy severity…talk to the school. And make sure your childs health comes first. There’s no way we can have a general rule about this. Just too many food allergies and reactions to them. I took this into consideration when looking where to send my daughter to school. A “nut-free table” was an option, but not ideal as kids still have oil and leftover peanut butter on their hands, face, clothes, etc. We opted for a school that was already “nut free.” While it’s not cheap to send our daughter to a private school, it’s worth the sacrifice. It is her life after all. The majority of kids at her school are non-allergy kids, but their parents send them here knowing ahead of time “no nuts.” Therefore, it is relatively safe environment. That being said, they still have her epi-pens and Benadryl on hand in case of emergency, but the chances of exposure are far reduced. The government can’t solve our problems, no one will ever agree or cooperate, so we have to do do what’s in the best interest of our child ourselves, not depend on someone else to do it for us. Not all children with a nut allergy have the same level of severity. There are some kids whose allergy is actually so severe that they can have a reaction to airborn particles, or of they are touched, via skin contact, by another child who has trace amounts of peanut butter on their hand. My son’s peanut allergy was not so severe in elementary school. His old elementary school has all kids who had peanut butter or nuts of any kind wash their hands after eating, before going outside to recess. Great idea!! My son is in high school, and I someone at his table is eating peanut butter, he has to get up and go to another table. Most days, that’s not a problem, because most kids buy their lunch. His high school still uses peanut butter in home ec, and I still had to fight with that stupid teacher, who almost wouldn’t allow him to leave the class room/lab, until he simply said, I’m sick and need to go to the nurse!! He had to get a waiver to drive himself to tech school (a program at a different school for auto collision repair) for his morning classes, because they wouldn’t restrict the other kids on the bus from eating peanut butter on the bus on the way back to their home school. There is still a long way to go in providing a safe environment for these kids. It seems as if we just have to deal with things on a case by case basis, as they come up. We’ve chosen to home school due to recent testing showing hypogammaglobulanemia along with 30+ food allergies, several drug allergies and tons of environmental allergies (and asthma and eczema, etc) BUT had we chosen public schools we would have done a food free classroom and all class parties etc in the cafeteria. This may have grown and changed with time and maturity but that was our tentative plan. I have a 12 yo allergic to peanut.milk.eggs.dairy and shrimp. Obviously I would have loved a treat free classroom. Now in Jr high no more parties:) My 9 yo daughter is peanut and pecan and I agree it is the residue that is frightening. People think it is just if they inhale or eat it but if they rub their eyes, pick nose (gross) but it happens, or rub their mouth um hello that becomes potential anaphylaxis and people do not realize this. It is not simple and most of us do not want to deal with the ahole parents but I care more about my kids lives. I just wish people did not think we are over reacting trying to protect our children. I prefer not to play Russian Roulette with them. Possibly moving if they bring something that contains nuts. I’d live to hear your thoughts. There’s no way that 7% – 8% of kids have legitimate, serious food allergies. Regardless, most of those are caused by their parents’ own actions such as oversanitization. Don’t dump your responsibility on other parents. We need to look into “why” kids have allergies? Why are they so prevalent? What is the cause? Is it environmental? Are people using too many antibacterial products? I personally think it comes from our poisoned food system. Since 1996 GMO’s have been in our food supply and the amount of chemicals people ingest on a daily basis is insane. Unless you eat organic all the time you are ingesting Round Up weed killer and a myriad of poisons and chemicals that are coating your fruits and vegetables. In my humble opinion, I do not think humans of any age should be ingesting these chemicals. Our body does not know how to process all the poisonous, fake food that is being given to them. When I was a kid there were no allergies, no cabinets filled with EPI pens. We ate “real food”! As i gaze into the future, I see school cafeterias with cubby holes to accommodate all the many types of allergies. What about real life play dates, work, friends houses, boyfriends, etc? Think a little, ask “why”??? educate yourself and your kids, look into natural healing, look into alternative therapies, perhaps organic food would be a good start, no dyes, no chemicals, no GMO’s. Food allergies are scary for kids and adults as well. Especially when you welcome a child into your home who suffers from allergies to play with your own children who may or may not have allergies. I’ll tell you, it’s amazing what they put in manufactured food these days, and having a child with allergies has made me understand more about the chemicals in food than I probably would have otherwise. A strange blessing. Either way, we still go allergy free to accommodate, even at our recent Halloween party! Since the majority of the time, we are talking about peanuts, let’s just concentrate on that. Those with peanuts allergy, either they only get reactions if they consumed the products or not. And then of course the severity of the reaction. For those that only reacts if they consumed products with peanut, the ban is absolute unnecessary. For ones with mild reaction again the ban is unnecessary. So therefore the ban boils down to “protecting” those that have severe reaction to peanuts without consumption. But does the ban really protects them? If they are so deathly allergic to peanuts that even the smell of peanuts, or 2nd hand touching of things containing peanuts can cause them to go into anaphylactic shock, the only thing nut-ban accomplish is providing a false sense of security. Or are all parents in school suppose to remove all products containing peanuts from their household, because if a child came to school after coming in contact with peanuts will be a risk to the child with the allergy. And what “protective measure” does the parent of the allergic child takes when they go out? To a restaurant, mall, someone’s else home or just plain walking outside? The more sensible solution is to educate children at the school about the allergy and what happens when someone with said allergy comes in contact with the allergen. How they can help to prevent this. (example: washing their hands properly) The allergy child should also be taught to be weary of his/her surrounding and be careful with what he/she comes in contact with. I think many of the people who weigh in about school food bans do not work in a school system. I am someone who does. Recently, one of the schools I work at imposed a ban on seafood. It will not be served in the cafeteria nor is anyone allowed to bring it into the building. A student can’t be around it per doctor’s orders. I don’t doubt the diagnosis, but how is such a ban going to be ENFORCED? School systems are lying to students and their parents if they think imposing a ban is going to make the school free of the targeted allergy all the time. I have been searching and searching the internet but have found little describing how such a strict ban is truly enforced every school day. (Continued) Do you really want schools to be like that? Have we gone to requiring people to be patted down and sniffed for offending foods? My main concern is that people are being hood winked into believing ban means complete safety. School systems are being forced to promise safety they can’t provide. This can all lead to a child dying or getting very sick at their (insert allergin) free school. It appears you are severely misinformed in regards to what causes food allergies. No one is 100% certain what is at the root of the issue but I am 100% certain it is not over sanitation. That can be a cause of weak immune response to viruses and bacteria. In reality, food allergies are the exact opposite. They are the result if an overresponse of the immune system. FYI. I’m sorry for those who have children who suffer from a severe allergy, but it is selfish of you to expect others to conform to your child’s needs. If your child can become deathly ill from being around a certain item then why would you put them in a position that they might. If is unfair for many families to have to change what they feed their children because of your child. They are actually being bullied in a sense, because if they disagree then they are uncaring of the health of a few. Newsflash, the world does not revolve around your family and your child needs to get used to that now. This school is not yours alone. You need to make the changes, not the students/parents. My daughter attends a preschool that is 100% nut free. We have several children in attendance with severe (read life threatening) allergies. As a parent of a non allergic child I support this policy in theory but in practice it can be very difficult. We allow homemade items which I know many schools do not but the packaged items is where it gets complicated. My daughter cannot take any lunch item (candy bar, granola bar etc.) that is not specifically labeled “peanut and tree nut free”. We are also required to take turns providing snacks for the classroom. Not to mention Easter egg hunt candy,Halloween, Christmas and Valentines cards. It becomes a very expensive and difficult proposition. Obviously anything chocolate is out and we were informed that even most candy corn is not considered safe. I don’t mind the policy. My biggest problems was poor execution, irregular enforcement and lack of clarity and education. I would prefer a specific list of brands or foods that are allowed than the constant rejection of foods; especially when to policy is two lines in the handbook stating, “We are a nut (peanut & tree nut) free school. Please do not send your child with anything containing nuts. (peanut butter sandwiches etc.)”. I am at my third year in the preschool and my daughter still comes home with lunch items uneaten telling me she was not allowed to open them. I have never sent my daughter with a lunch that actually contained nuts of any kind. It was only this year that I was told if it doesn’t specifically say nut free it’s not allowed and that was not made clear in the policy. Many allergists support the “hygiene” hypothesis and this study supports it. It really is sad that the whole must suffer for some parents who may very likely have CAUSED the problem in their kids- not to mention that their kids may forever be in danger because of it. Slippery-slope is also missed here- celiac and gluten allergies are on the rise. Almond flour is the most commonly used replacement. What’s next? Neither of my children have Nutt allergies. However i agree with my children’s school to be peanut free. I think it’s appalling to even CONSIDER separating lunch tables for the kids with food allergies as i recently learned some schools do. There’s already enough bullying and children committing suicide over bullying, we don’t have to give them another reason! Parents are saying it’s a nutrition thing, if that’s the reason feed them a peanut butter and jelly sandwich when they get home. My son is highly allergic to only two tree-nuts. We have never had a reaction to cross contamination, only actual ingestion. We have never had to use an epi-pen. Despite this, officials at his school require my second grader to sit at the allergy table away from his friends. He is not allowed to eat granola bars or peanut butter (which he has no allergy to) when at this said table. I don’t want him there. He doesn’t want to be there. But no one is speaking up for these kids. Administration is too “lawyer” scared to think about the impact to the whole child. What rights do we have as parents to say I want my child at the table or I don’t? There are a lot of consequences to food allergies…One is that some parents who do not have children with lifethreatening allergies which could be managed, overreact and force everyone to remove items their kids have from the classroom…Some of these kids have multiple allergies which are extremely difficult to manage. One mom posted about how some 8th graders were putting nutella wrappers in her kids lunch which could kill him…She did not report this to the principle but instead told all the mothers. Some of the mothers went after their kids to find out what happened and to yell at them. So now kids are being terrorized by the child with the allergies. And while gluten free diets are the “in” thing right now, a lot of people on them don’t have to be on them…Some of the allergy parents demanded that the cafeteria stop serving things like milk…Milk is the drink included as part of the free lunch program…So now the low income kids get no drink? In order to comply with the allergies, we had to buy from a certain bakery and everything had to be brought in clearly labeled and sealed…Those 20 cupcakes cost me $60…one of my kids needs high calorie intake and the recommendation was peanut butter…Haha I said. No way the school would allow that. Is that student now being discriminated against because they need something like that? There are pros and cons to all of it and meeting in the middle is probably the best bet. But if your child is so highly allergic that everything makes them sick, maybe another option is a good choice. A school will never be as diligent as a parent. @Ann-Lee your comment is ignorant. A lot of ignorant comments on here. School is primarily for learning so safety is the top concern. The idea of being more worried if your kid can have a peanut butter sandwich than his/her schoolmate dying from nut exposure is appalling. To the people saying that only ingestion causes an allergic reaction are dangerously misinformed. Some people react to the particles in the air and can go into anaphylactic shock from this. Every child regardless of disability has a right to a safe education. Period. Its because of ignorance like this that the rules have to be legislated. To those saying we with allergies should just sit at home, I hope you never have a disability that prevents you from doing things. Only then maybe will you realize that compassion is very valuable indeed. We don’t expect to be able to eat everywhere (Vegan food is very much not something I can ever eat due to nuts being a main component), but we should be able to eat SOMEWHERE. Also only eating at home does not guarantee safety due to all of the food recalls due to an unspecified allergen that mistakenly made its way into something. 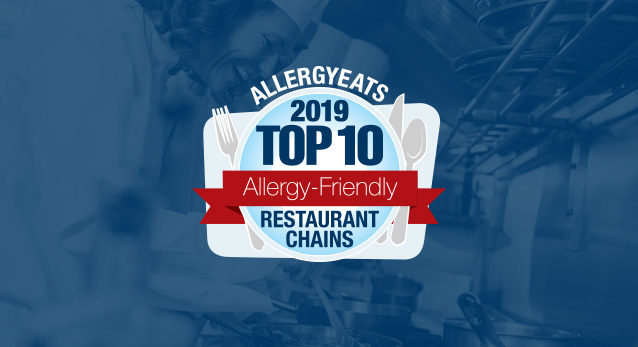 Thank you Allergy Eats! 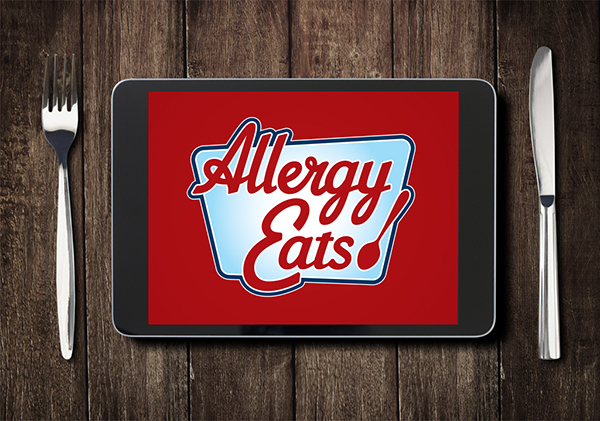 for creating a forum for us to discuss our allergies and eat out safely. I have a granddaughter allergic to bananas and fructose intolerant. We keep a banana free home and knew we would have some issues at school, but wow. We asked the school during registration what we needed to do. Then, the first day of school rolls around. We were informed they had to give her bananas. What? A five year old has to determine what she can safely eat of what’s given to her? Finally, we got a doctor’s note. Thankfully, her allergy is life-threatening. 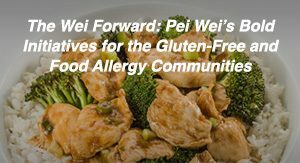 She attends a peanut free school, but all children with other food allergies are still served their allergen unless their allergy is life-threatening. What ? Frustose intolerance is not life-threatening, so she is given juice at every meal. So now, she has constant watery diarrhea to the point of soiling herself in her sleep. Same with any other food intolerances. Why should children be given food to which they are intolerant or allergic just because eating it won’t kill them? I guess, this is why I get peeved a peanut free schools. One allergen is given preferential treatment and others are being ignored. I hear all crazy stuff . Why do we need to make adjustments for certain children. Why do we pay thousands and thousands and thousands of dollars for wheelchair accessible schools and special ed teachers? Why. Because it is what’s best for the children. We are talking about a 50 cent sandwich. Come on people. And by the way certain foods that cause respiratory disorders are covered under ada regulations. My children have egg, mold, oat, barley allergies, I can’t have corn and my husband is allergic to yeast, mold and peanuts. We have to turn to alternative flours like almond and coconut in order to feed everyone safely. I’m completely sensitive to allergies – try cooking in our house! However, if you ban nuts at school what will I feed my kids? Should I be forced to home school my children? I have read the CDC guidelines and they specifically address the social/emotional aspects of food allergies and telling my son he can’t have any of the snacks we have finally found for him that don’t contain oats, etc. would be devastating. Ok well maybe you should wash pollen off your clothes and ban recess for my child with severe hay fever that’s on steroids 2-3x a year. You are bullying parents! It’s one thing to ask for a separate area and to respect snack restrictions on birthdays even to respect snack restrictions in class if there’s an allergic kid but lunch too??? 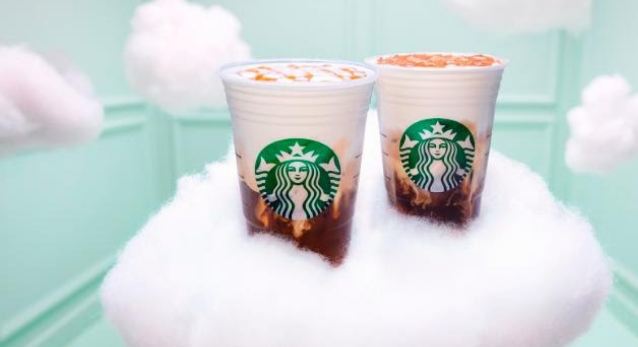 This is gross. Studies have shown it doesn’t work. You’re NOT PREPARING your kids for vigilance. These aren’t three year olds. What about picky eaters! What about celiac or wheat allergy? It’s ok for nuts right? You can’t ban huge food groups. Kids without allergies have rights also! If you have a special needs kid who doesn’t like announcements on the loudspeaker you may make an accommodation like headphones but you won’t stop announcements. And the severity of the allergy doesn’t give you the right to infringe on others so deeply! At a certain point homeschool if you consider school such a hazard. You’re taking advantage of compassion and expecting people to malnourish their kids or feed them junk that complies with all these restrictions. All parents feel for kids with allergies. Don’t take advantage!! My kid’s school just became a nut free school to accommodate a new student with severe nut allergies. This is a very small, private, parent-run co-op and the decision was made without any input from the membership. I feel like this was handled extremely poorly, but, in general, I am not philosophically opposed to a nut free school. I do feel, however, that we are not adequately prepared to make this transition effectively or provide a truly safe experience for the student. The thing that troubles me DEEPLY, is that the parents have not informed their kid about his allergy, in an effort to shield him from the pain or anxiety of his condition. He doesn’t know what he is allergic to or that he is even allergic! I’m not sure how they managed this or how it plays out in their lives, but I feel strongly that they have done him an extreme disservice, and that this makes it impossible for the school to provide a safe learning environment. I am very concerned for his safety and for our school’s future. This is all very new to me, and I welcome any and all advice/opinions. I’m sorry but we are not equipped to handle a student with such severe health issues. I think it’s a shame that the article/commentary opened up with saying that it would be great to hear from both sides and a way to work together is to hear what each side has to say and yet people are being called ignorant for commenting or giving an opinion. 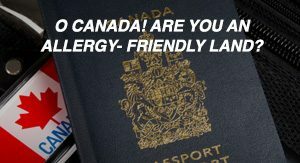 I am a non-allergen parent, although I understand the frustrations from both sides as I have relatives with allergies. I do sometimes get frustrated as the majority of foods that my family eats have some type of nuts or something in it. I feel as though I am being forced to shop differently, spend differently and eat differently due to other peoples circumstances and its not a great feeling. You feel like who is advocating for you/your kids and the ability to have choices. It really stinks for kids that are nut lovers like mine are, they constantly complain about not having more choices in snacks but I try to limit the nut items I send. I do think that kids should have a designated area that is nut free and allows the students the option to sit there. I will say that every year I have asked my 2 children if they have classmates with allergies and if they do, I always remind them not to sit near those children at lunch time just to be safe. My hope would be better educating children, the one with allergies and the ones without. The ones without to be mindful of not eating or sharing things that may be harmful and this ones with allergies to be aware and mindful of not exposing themselves to anything that may cause harm. Someone commented in a thread that exposure cannot be controlled everywhere which is true, hence the reason to better educate kids to be safe. It’s just really a no win situation in my opinion. Would just be nice if people would consider each other’s feelings. I am a junior in high school and have been dealing with anaphylaxis( extremely severe, airborne, contact, etc) to dairy all my life, and although my allergy is not one to nuts, I will like to give my input from the eyes of a child with an allergy. When I was in elementary school, for the first three years, they had me sit at a table that faced a wall and that was designated previously as one of four “silent lunch” tables where children who misbehaved sat at. I was the only kid in my school that had my allergy and one of the only ones that had an allergy at all. I sat alone and that in itself was hard on me. I felt, honestly, like I was billed as an outcast. Not to mention, on several occasions, children that misbehaved and had silent lunch had to sit with me because the other tables were full. These children had all kinds of dairy with their lunch and when I alerted my fears to the lunch aides in the cafeteria, they disregarded my allergy as a problem and basically told me to get over it. Another occasion was when the lunch room served peanut butter and jelly sandwiches, this wasn’t a new thing either. Yet, a set of twins that allegedly had peanut allergies had to sit next to me that day (they never had before on PB&J days, and never again did they) and they got to drink milk right next to me, yet, I couldn’t eat my PB crackers. The fact of the matter that any sort of allergy ban that is exclusive to only nuts is not practical. If one decides to ban just nuts, then others feel entitled to their own children’s allergens being banned. Yet, at that point, food at school should just be banned all together. That is outrageous, and I do not expect other people to stop eating their food for my safety because in the real world, that doesn’t happen. Every day I face the risk of an exposure, and I’ve even had reactions to food that has been in my own house! The parents should try their hardest to employ their child with the knowledge to feel comfortable with dealing with their allergy and make sure that the school has an action plan that it will follow in the case of an emergency. However, I will always hate school food parties no matter what. As someone with many extremely severe allergies, going to public school was one of the hardest challenges for me. I am allergic to milk, egg, peanut, tree nuts, all fish, pollen, dust, cats, dogs, horses, mold, hornets, amoxicillin, bactrim, and clyndamycin. The allergy policies at my previous school are garbage. I had numerous allergic reactions in school and many trips to the ER. I had teachers that stated “no nuts in my room” and would proceed to eat them in front of me, while I was in their room, as if they were above the law. I’m not sure when it became okay to eat something versus allowing me to live. They were told they would be fired if it continued, and it still did. I cried many tears and said many things to administration and the school board, but still, my life appeared to them to be less important than someone’s right to eat something that could kill me and others, instantly. I fought for having a nut free environment, but my time in high school expired, so I continue to fight for those that are afraid to speak, just like I used to be. I learned to use my voice to speak out about this, when my own best friend would purposely bully/harass me with foods that I am allergic to. The allergens aren’t the only problem, the bullies are a problem too. So please, if you’re reading this, think about the lives around you and how one small action (eliminating allergens) could prevent someone from losing their life. The best protection we can give our children is knowledge and each other. I volunteer in the lunchroom and have witnessed children telling the teacher monitors that they need to change seats due to a food allergy. My middle-school-age daughter is anaphylactic to peanuts and a couple of other nuts. She has so far always kept herself safe in a middle/high school that is definitely not free of her allergens. The world is not free of her allergens either and we have always proceeded with the assumption she needs to practice the skills to keep herself safe. 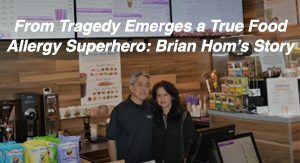 However, when a school-sponsored organization recently delivered trail mix as a pre-exam treat to her classroom (not labeled but definitely containing nuts), we realized that by always taking care of herself she was also flying under the radar and the majority of the school staff were not even aware of her allergies. As a result of this realization, we decided to request a 504 plan for her. This allows us to ask for accommodations. We are asking for her allergens to be restricted from the bus on an upcoming field trip where they will travel many hours overnight on the bus. There will not be hand washing facilities, and because this is an overnight trip we are concerned that she could easily be exposed to traces of others’ snacks on the bus and inadvertently transfer them to her eyes or nose by rubbing. I am hoping that a day without PB&J or snickers will seem like a reasonable request to improve the safety and reduce the stress level of the one allergic student. Prior to this, the school had often provided a PB&J lunch to all students on various field trips. That’s a lot of potential for cross-contact. I don’t know if this is the best approach, but the school is willing to make the accommodation, so we are trying it. I do expect some pushback, for all the reasons mentioned here. We are also making a backup plan for a “buffer zone” around my daughter if there are students who disregard the request. There have been highly allergic students in classes above hers and I have heard that they just did not go on some field trips. We are trying a different approach. Hopefully the empathy of other students will help this work.